Contractors are very much in demand these days. More and more companies are looking into hiring contractors to do some of the jobs that they need done. When dealing with contractors, you need to carefully manage the costs involved in the process. Contractor estimates are documents that declare in detail the expected costs needed to complete a project. They look at the raw materials needed to complete a project and get price quotations from suppliers. Aside from that, there are also other things that a contractor looks at to come up with an accurate approximation of the cost. Take a look at these Sample Forms so you have a guide when making your own. As the owner of a company that hires contractors, it is important to know how contractors come up with the numbers. Take note though that they are only giving estimates. Some contractors have more accurate estimates over others. Companies need to carefully evaluate these estimates to ensure that there are no hidden costs involved. 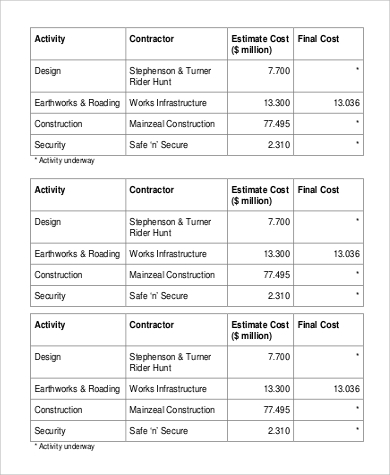 Check out these Work Estimate Samples and Service Estimate Samples for further information on how estimates work. Below are some ways contractors come up with their project approximations. 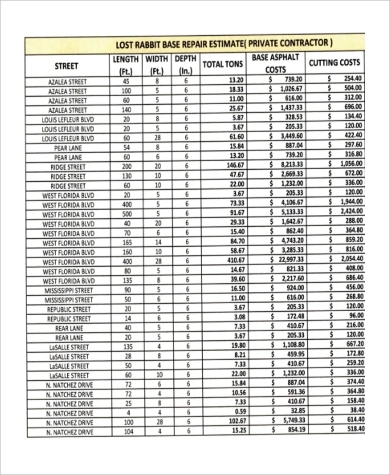 Stick Estimating – This method is often very time-consuming as the contractors still need to list all parts of the job (i.e., the materials, the hours, the sub-contractors needed) and then come up with a cost for each item. Unit Cost Estimating – This method of estimation is a much simpler version of stick estimation. 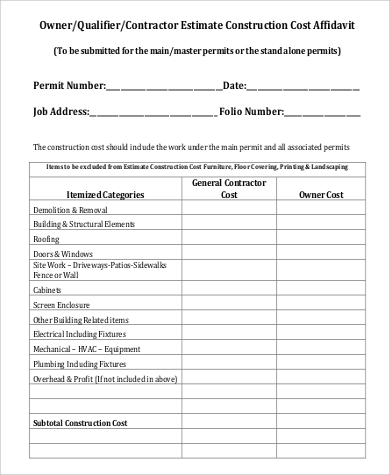 In this type, contractors only need to come up with the unit cost for each item. Estimating Books – Contractors can also refer to estimating books when making their estimates. Keep in mind however that these books are geographical in nature as items have different costs from region to region. Estimating Software Programs – There are software programs that fully automates the process. 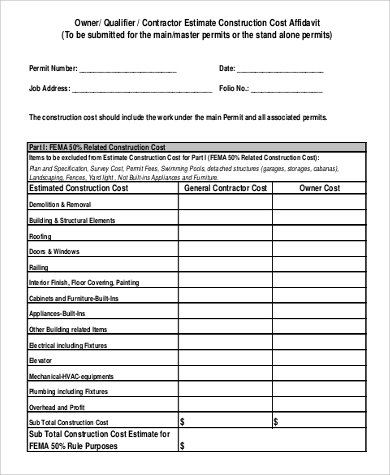 Contractors can use these programs to come up with an accurate estimate cost for the project. These days, it is necessary to keep track of where every single cent of our hard-earned money goes. 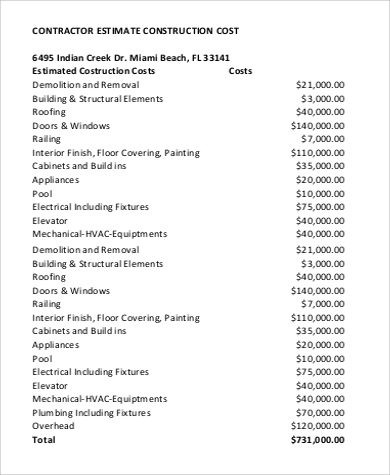 Contractor estimates help a lot in preparing for the costs involved in doing a project. For instance, when building your own home, these estimates will be your guide in making a budget. Having a document to look at will also make you consider which ones you truly need for the project. Contractor estimates, like these Estimate Proposal Samples, will outline in detail where your money will go. 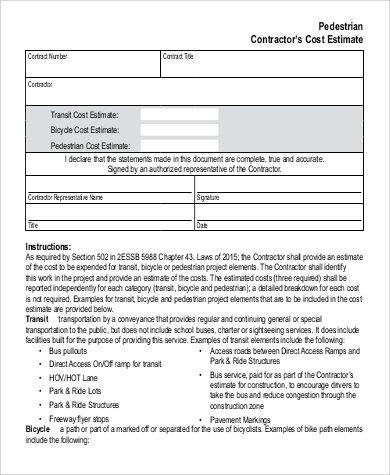 Contractors need to provide accurate estimates for their clients. Listed below are some tips that could be used when making these estimates. 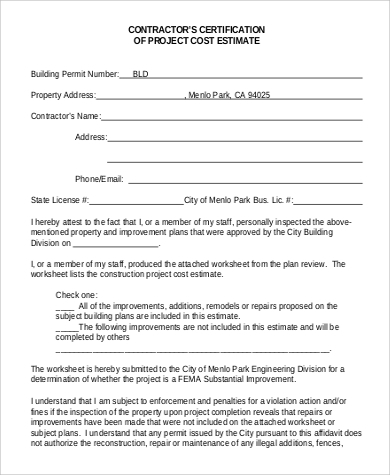 Refer to a master checklist of things involved in the project so you don’t forget anything. Understand material pricing and possible price fluctuations. Understand labor costs and determine an accurate hourly rate for specialty labor. 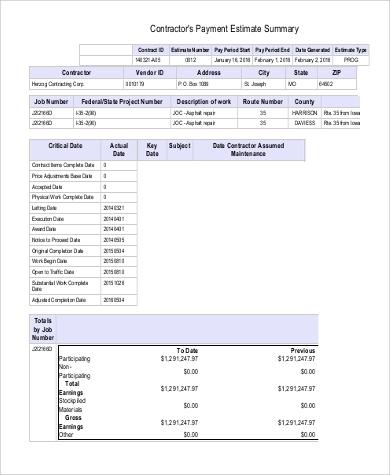 Providing an accurate estimate defines the business of a contractor. Providing faulty estimates would often cost you your business. 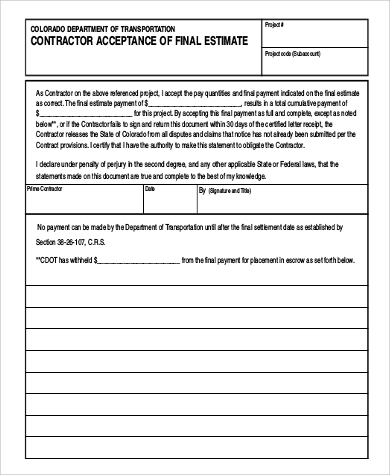 When making an estimate, it is important to keep it in a document that your clients will easily understand. Our sample contractor estimates are simple, concise, and comprehensive, which your clients will surely appreciate.